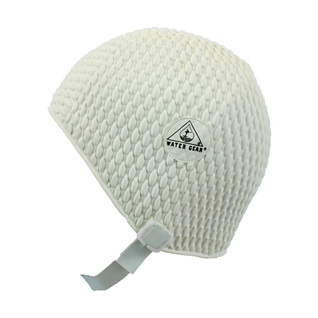 The Water Gear Bubble Swim Cap is a great bathing cap! Chin strap for comfort and warmth. I swim a mile and a half 3 days a week and I never have to tug at the cap to keep it from 'riding'up. This beats the traditional swim cap. This fit my head and looks great.